Local nurseries, nonprofits and plant societies offer a continuous education in edible and ornamental gardening and design. Classes and workshops like these are offered every week at local nurseries all over the Portland area. And many of the classes are free, nearly free or very reasonably priced. Retail nurseries hold classes to educate gardeners and, of course, encourage potential customers to visit, so their classes are typically free or very inexpensive. Such classes are generally “Gardening 101”-type classes – perfect for beginners. And given the wealth of local horticultural talent (instructors are either experienced staff from the nursery or regional experts), most class attendees are learning from a professional horticulturist or expert who knows enough to guide more sophisticated learners further on in their learning. Al’s Garden Center - ornamental and edible gardening classes on a range of topics. Dennis Seven Dees - ornamental and edible gardening classes covering a wide range of topics. Most instructors are Seven Dees' own experts. Garden Fever Nursery - ornamental and edible gardening classes - mostly hands-on craft-related topics including terrariums, flower arranging and seasonal wreathes, etc. Joy Creek Nursery - a wide range of classes taught by regional and even national experts. Some classes are available for credit! Livingscape Nursery - edible and native plant classes, as well as food harvest and preservation. Portland Nursery - a truly wide range of ornamental and edible gardening classes and craft demos. If your favorite nursery—say, Naomi’s Organic Farm Store or Cornell Farm—doesn’t list their upcoming workshops or classes, just give them a call and ask whether anything’s on offer. Not everybody gets around to posting about it! 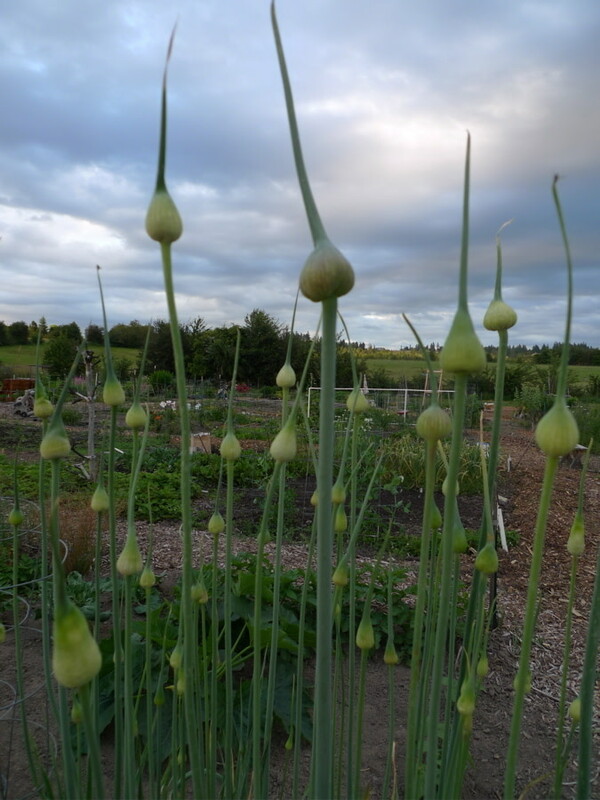 Growing Gardens - learn organic edible gardening skills from composting to sowing vegetables. Then, if you're inspired, give back by volunteering to teach new gardeners. Hardy Plant Society of Oregon - a wide range of classes, lectures and workshops are offered, primarily on ornamental gardening including both particular types of plants and design. Portland Japanese Garden - periodic classes on elements of traditional Japanese gardening. Most classes require advance sign-up and can sell out quickly! Lan Su Classical Chinese Garden - classes are often relating to Chinese culture (Feng Shui, tea, etc) but can relate to gardening, too. Leach Botanical Garden - a wide range of classes relating to sustainability issues, gardening with children and more. Oregon Metro - learn organic, mostly edible gardening skills and gardening with native plants. Oregon Tilth’s Luscher Farm (all season-long classes on all elements of edible, sustainable gardening). Urban Growth Bounty (The Portland Bureau for Planning and Sustainability) - learn organic/edible gardening skills and techniques. Portland Community College (various locations) - classes vary every year but usually include such subjects as design, edibles and ornamentals. Portland Fruit Tree Project - fruit tree pruning classes and courses. Zenger Farm - learn organic, sustainable gardening skills, from composting to production food farming. Am I missing something important? Feel free to add it!